Petitgrain mandarin (North Africa) - Ultra International B.V.Ultra International B.V.
Petitgrain mandarin provides a truly unique aromatic experience. This essential oil is obtained by steam distillation of the leaves and twigs of Citrus reticulata. Also the fruit produces mandarin essential oil in its varying forms. This is an exceptional petitgrain and may be more calming. It provides a very beautiful yellow colour with a sweet, green leafy, fruity odour. It contains a specific ester which is rarely found and which has a powerful sedative effect. This material is used in perfumes and skin care products. Petitgrain mandarin is a very good skin toner and cleanser. 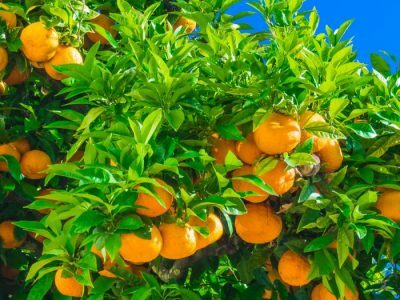 In perfumes, petitgrain mandarin is equally interesting for example in fougeres, oriental bases, chypres and in modern aldehydic perfumes. It creates a blend with a couple of drops of spikenard and some lavender and the lower back and abdomen can be massaged with it. It is also a very good diffuser. This wonderful oil calms irritation (both of the emotions and of the skin) and helps against anxiety. 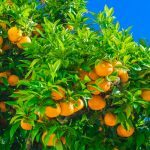 Petitgrain mandarin is an evergreen tree growing up to 20-foot high with glossy leaves producing fragrant white flowers bearing fruits turning yellow when ripe.